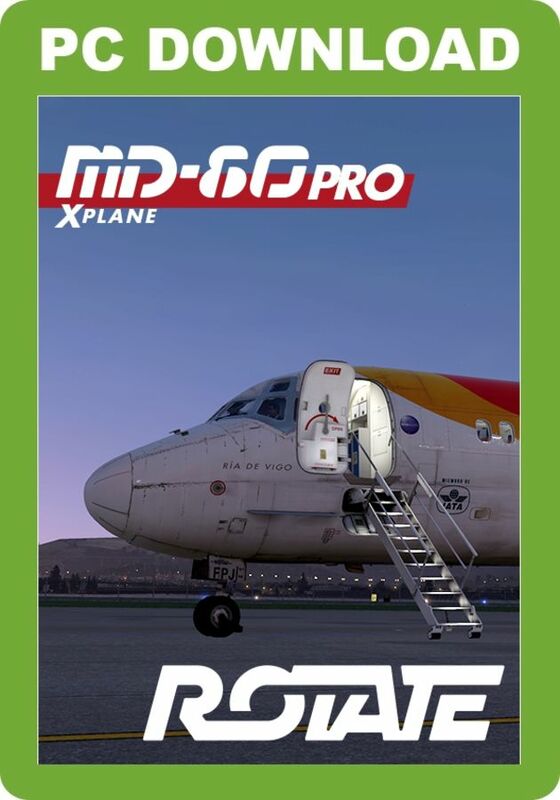 This version (January 2018) includes some new major features like the FIX page of the FMS, and a Pop-up Menu with Fuel & Load page and Ground Operations page. 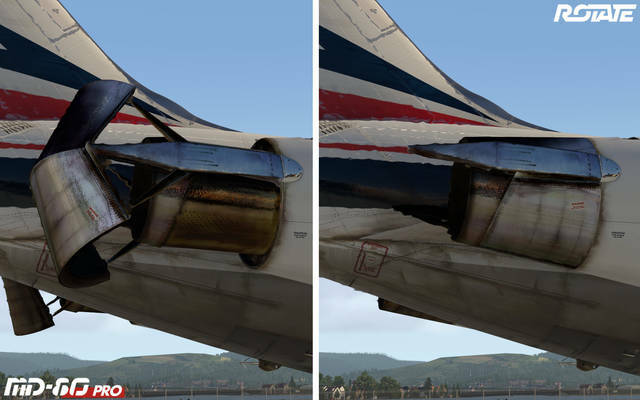 All performance and predictions routines have been updated to match the improvements in X-Plane 11.11. 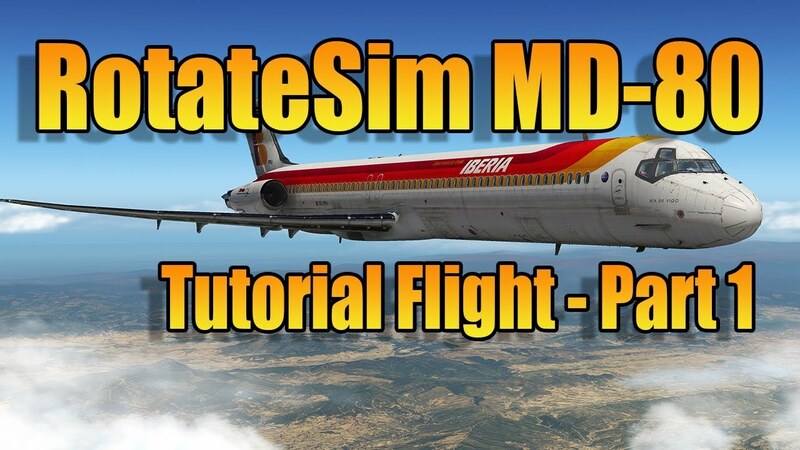 This version has also improved the engine's parameters and includes many other minor improvements and some bug-fixes. 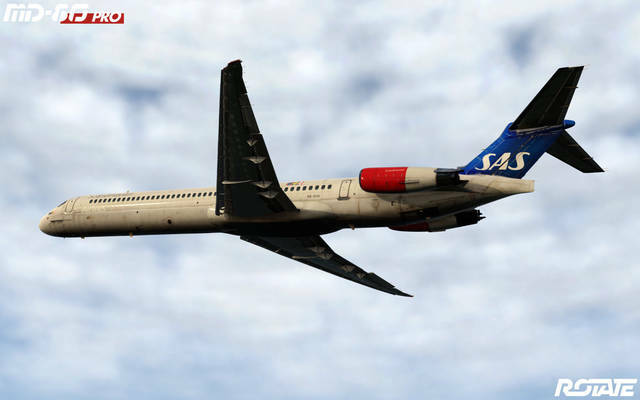 The FIX page will allow the pilot to monitor flight progress in relation to fixes/bearings external to the programmed route and to obtain the expected ETA and Altitude at these points. 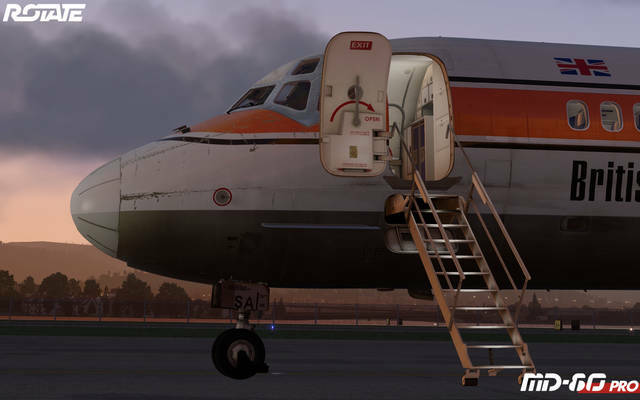 The Pop-up Menu provides the means to program and manage the load of Fuel, Cargo and Passengers, as well as managing the doors and other Ground Services like GPU and GPS. 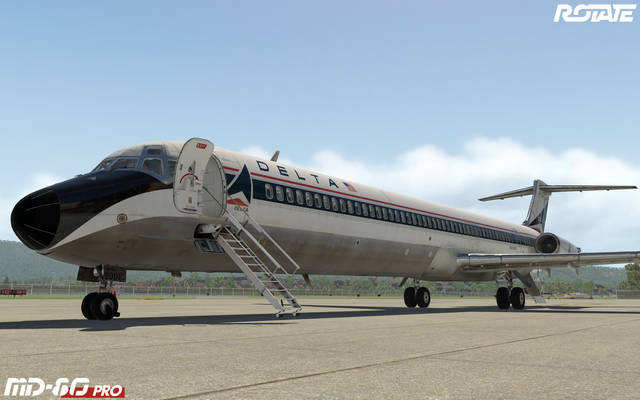 All load information is processed according to the original MD-88 Weight and Balance Manual. 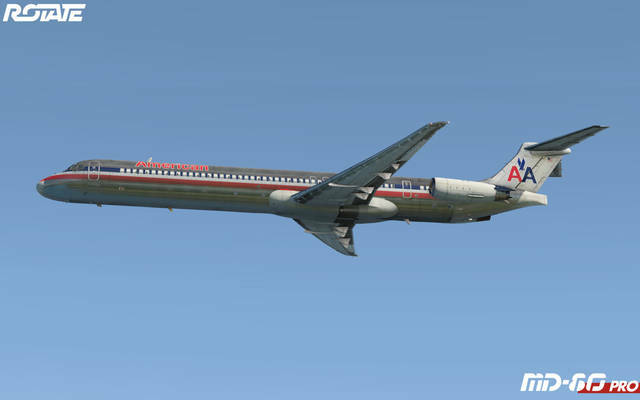 You will be able to predict your weights and centre of gravity for take-off and landing, as well as a preliminary flight range and time calculation for the entered trip fuel. 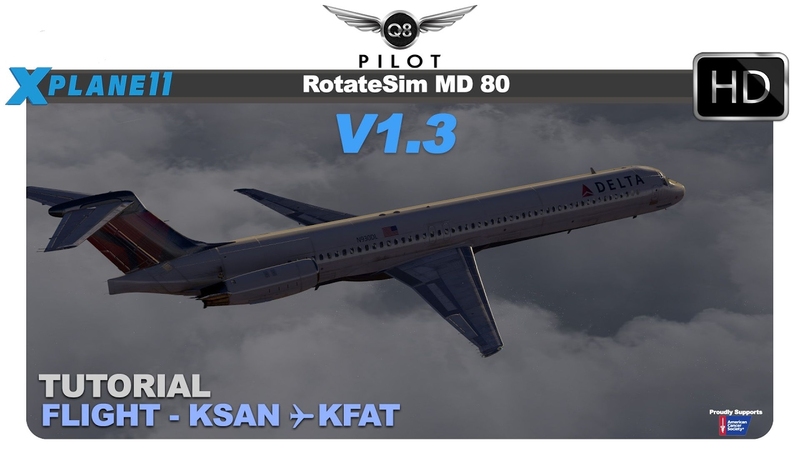 The Rotate MD-80 is a most accurate simulation of this popular aircraft, specifically the MD-88 variation. 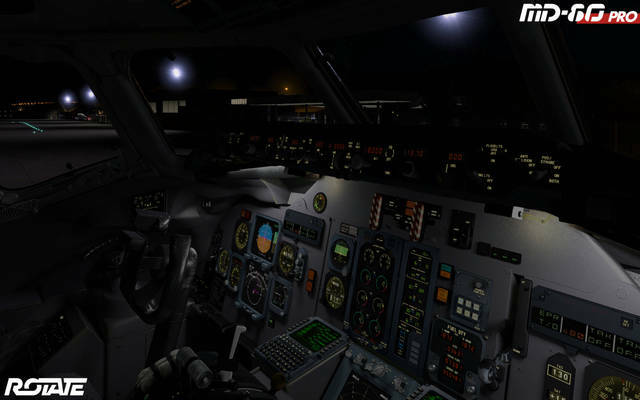 It offers a complex and immersive simulation experience. The realism of the 3D model and texture work is pure and delightful eye candy. 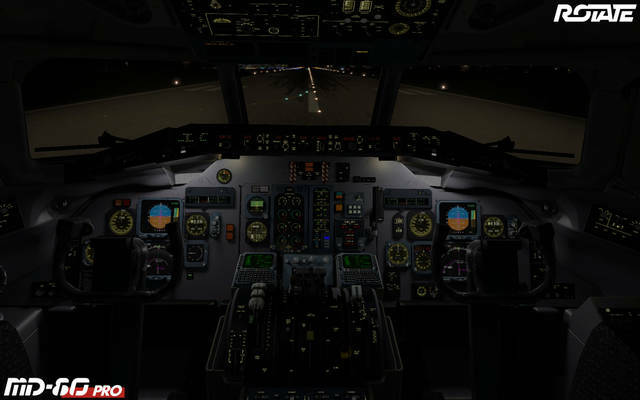 The advanced systems simulation provides a solid experience for the demanding flight simmer. 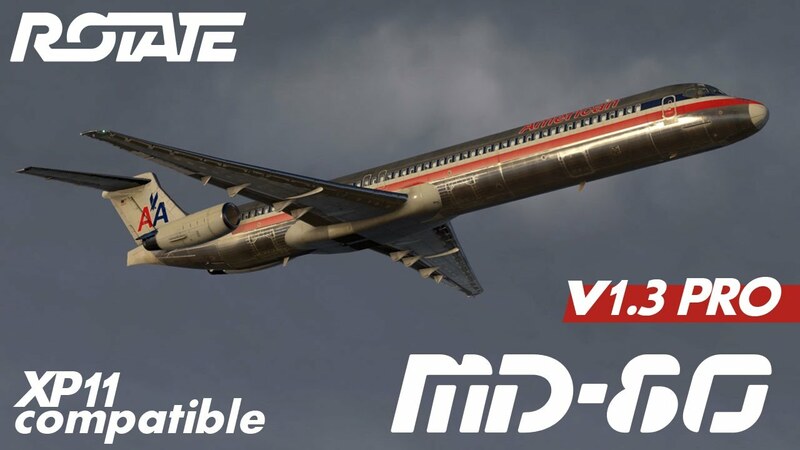 Compatible with X-Plane 11 and 10.51 versions. 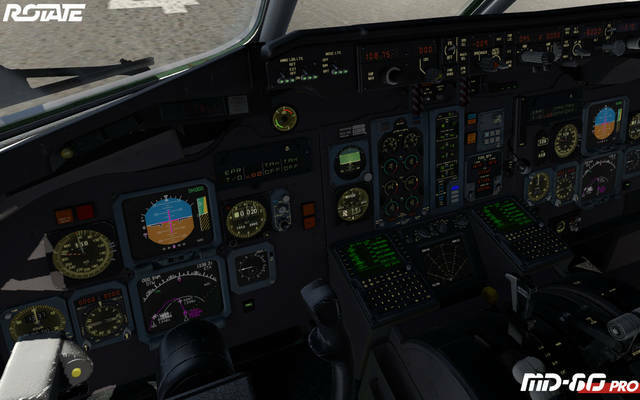 Simulated Tests: DFGC, Altitude, Engine Fire, APU Fire, GPWS, Windshear, Flight Recorder, Voice Recorder, TCAS, Brake Temp, Stall, Anti-Skid, LED/Annunciators. 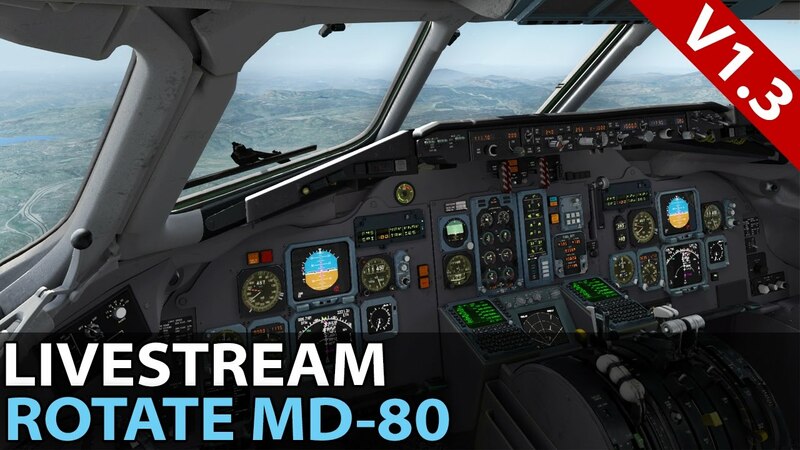 This Rotate package for X-Plane 10/11 comes in 10 ultra HD liveries and features an accurate simulation of the final variant in the MD-80 range, with a precise flight model, custom FMS and WX/TCAS with TA/RA advisories. 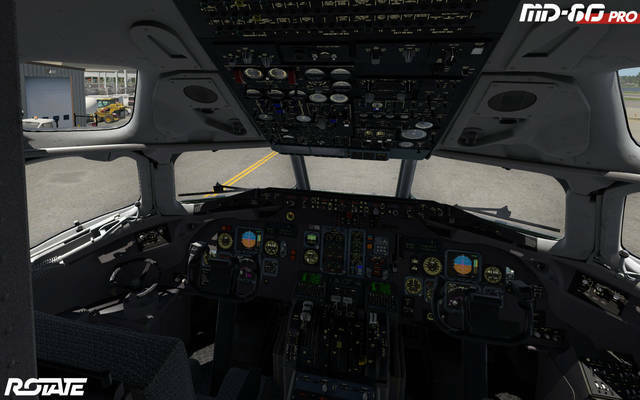 The 3D cockpit, passenger cabin and exterior model are all highly detailed and the aircraft boasts custom external and internal sounds, normal and specular maps for enhanced detail, HD day and night textures and accurate animations.